I created this ring by first piercing the tribal design out of a sheet of sterling silver. 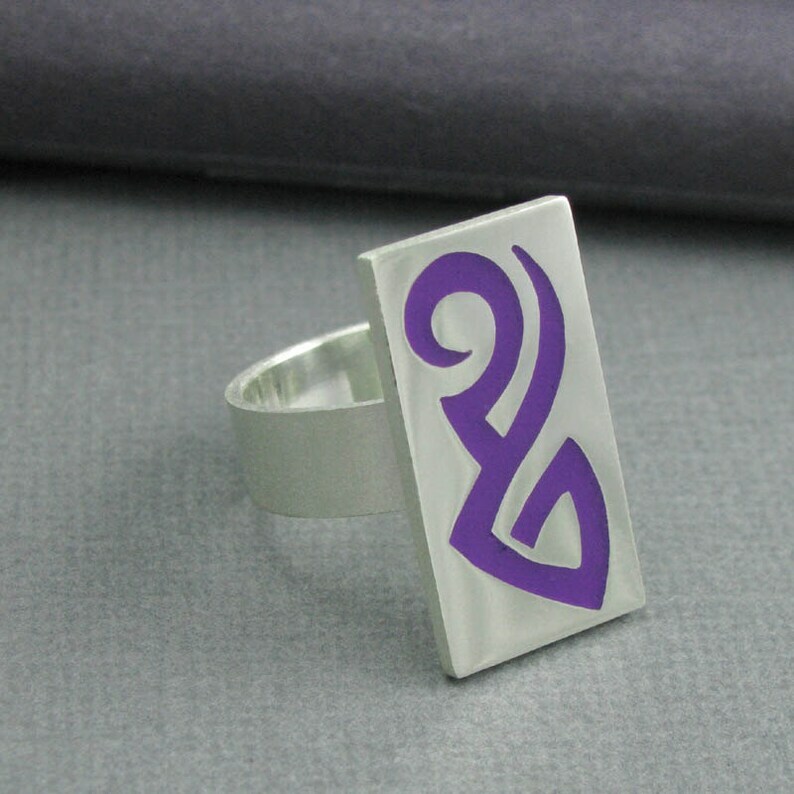 The cut piece is then hand soldered to a thicker sheet of sterling silver thereby creating a channel in which to pour the purple resin that I mixed by hand. Before pouring the resin, I soldered on a wide band then finished the ring band and the sides of the ring top with a frosted textured finish using a wire texture wheel at high speed. Once the texture was added, I then poured the resin into the tribal design. After the resin has cured (hardened), I then sanded it to an even level with the silver and hand polished the top of the ring to a mirror finish.